Tom Cruise’s breathless action films are matched only by the actor’s work rate. Fresh off of Christopher McQuarrie’s relatively successful Mission: Impossible – Rogue Nation, the Hollywood legend is headed back to a similar genre piece in Jack Reacher, with The Hollywood Reporter noting that Cruise will begin filming on the sequel this November as expected. For Paramount’s follow-up, Ed Zwick supplants McQuarrie in the director’s chair, and the film will once again be based on Lee Child’s expansive series of action novels. Before Jack Reacher struggled to bring in the real big bucks – despite a haul of $218.3 million – the studio had expressed its interest in spinning out Child’s literary franchise into a bona fide action juggernaut, though the tepid box office return quickly cooled such plans. Nevertheless, Paramount is still keen on that Jack Reacher sequel, with early reports indicating that the production house is eyeing Child’s 2013 novel Never Go Back as its source. The early draft of the screenplay, penned by Richard Wenk, would have had Cruise’s trained killer return to his old military base in Virginia. Charged with violent conduct that he has no recollection of, our battle-worn protagonist fights to clear his name. In the time that has lapsed since Wenk was first drafted in to write the script, both Zwick and Marshall Herskovitz have reworked it, so there’s every chance it could alter from this tentative story arc. On the other end of the Cruise spectrum, it appears as though Mission: Impossible 6 is being fast-tracked in the wake of Rogue Nation‘s success. 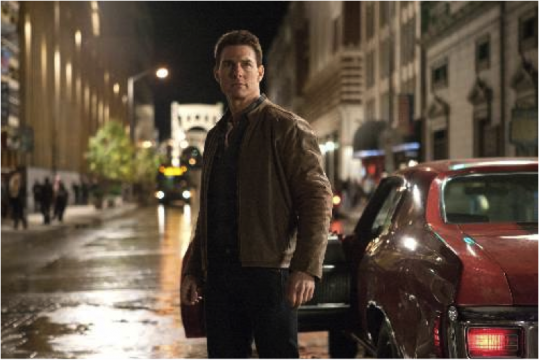 With plans in place to begin filming in summer of 2016 – giving Jack Reacher the breathing room he needs – Paramount is aiming to slot the bankable franchise for a return in the summer of 2017, either in June or July. If everything falls into place, Jack Reacher and Mission: Impossible 6 could be arriving within close proximity of one another. Is too much Cruise a bad thing? Let us know what you think below.